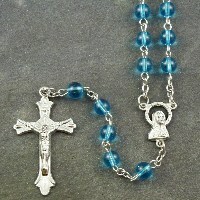 Please browse all of our rosary beads. 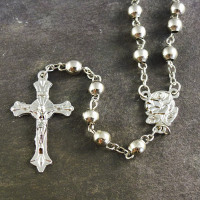 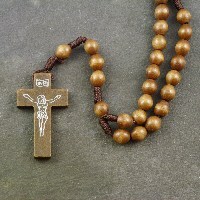 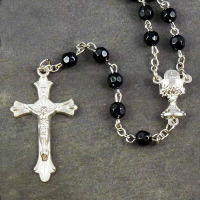 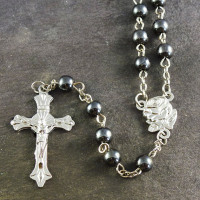 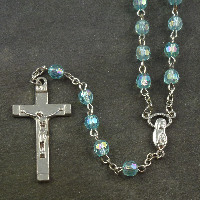 We have rosary beads in glass, metal, plastic, wood, hematite, Communion rosaries and gift boxed. 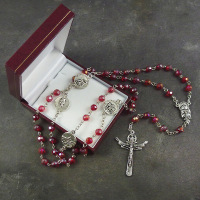 These range from cheaper rosaries to exclusive designs.